When Madigan Mine came out it was nominated for a number of awards, and received a great deal of critical acclaim. When you read it, you will see why. Madigan Mine works on a number of levels, and I was able to enjoy it immensely both as a reader and a writer. A gripping tale of psychological disintegration, Madigan Mine deals with grief, obsession and how love can be used against someone. It’s not for the faint hearted; visceral and confronting, it pulls no punches as we see exactly how far someone can fall. Kirstyn is clearly an author at the top of her game, and as a writer I found myself full of admiration and no little envy at the skill evident in this book. The prose is haunting, the images painted with words rather than merely described. Some of them will stay with you for a long, long time. I found the way that flashbacks were handled particularly clever, done in a seamless manner that carried me along with the timeline of the story. While reading this, I assumed (wrongly, I believe) that she must have been born and bred in Melbourne, because she writes about this city the way Stephen King writes about Maine, with an intimate knowledge not only of its geography, but of its soul. Any Melbournian will nod knowingly at the descriptions of familiar places, landmarks and inhabitants, but it is not so heavy handed as to limit the books accessibility to those not fortunate enough to call this city home. But, as beautifully written as it is, that would mean nothing if the story was all style over substance. 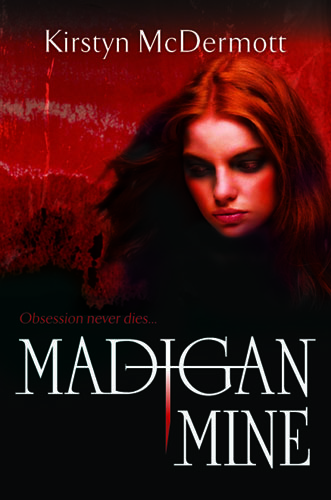 However, this is where Madigan Mine truly excels, with a compelling narrative that drags you along, not wanting to see what is going to happen, but unable to look away from the carnage as the protagonist loses control of more and more of his life, almost everything he has of value stripped away. There were more than a few scenes that left me genuinely upset, and it doesn’t follow a safe and predictable formula – all bets are off as things continually escalate. There is a real sense that anything could happen, that you shouldn’t get attached to anyone or anything. I actually found myself dreading turning the page at times, scared of what I was going to find next. There is no sentimentality on the author’s behalf, she is more than willing to put the characters through the ringer in service to the story. The true horror in this book comes from the knowledge of how cruel someone can be to another person, and in that regard it paints a picture scarily faithful to real life. We see how love can be used as a weapon to possess and compel another, and how hard it is to actually let go of someone you’ve lost. Just like the protagonist, you will find yourself unsure whether there is anything supernatural going on, or whether all this is happening in his mind. It’s not for the faint of heart, but if you want to read a book that will haunt you for days after reading it, and that is an example of how Australia produces work every bit as good as (if not better than) anything coming from overseas, then Madigan Mine is for you. 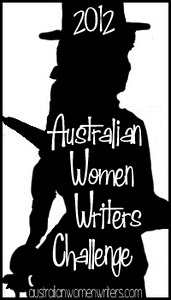 This entry was posted in Writing and tagged Australian Women Writers 2012 Reading and Reviewing Challenge, Kirstyn McDermott, Madigan Mine, reviews on July 9, 2012 by David. Thanks for review, I’m adding this to my TBR shelf! Great! Thanks for popping by and I’m glad I could let you know about a wonderful book.